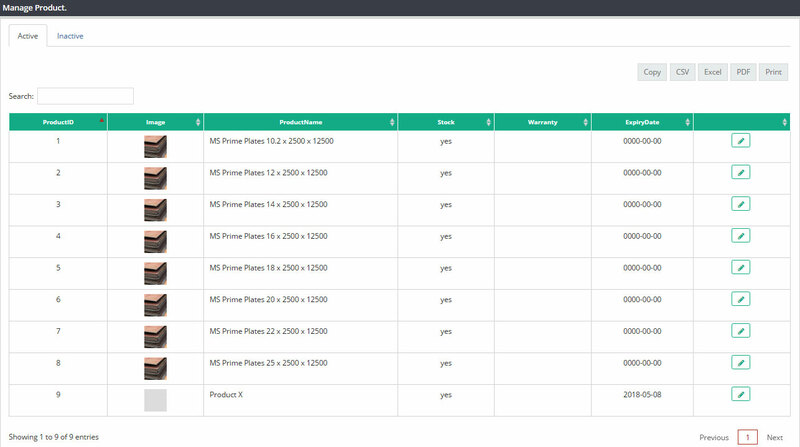 Manage Product screen is designed to edit product records which you have created in “Create Product” screen. In Nelso ERP we don’t have the option to delete any product record. If you do not want a product to display anywhere in the system, then mark that product as inactive on Edit Product Screen. In case by mistake if you have created multiple records for a single product by, you can use “Product Merging” Screen to merge them into one record. As soon as you open this screen, all available products will display here with following details. You can search the product here with product name or price line. Product ID : System assigns one product ID to each and every product when you create them in “Create Product” screen, that ID will display here on product ID column. 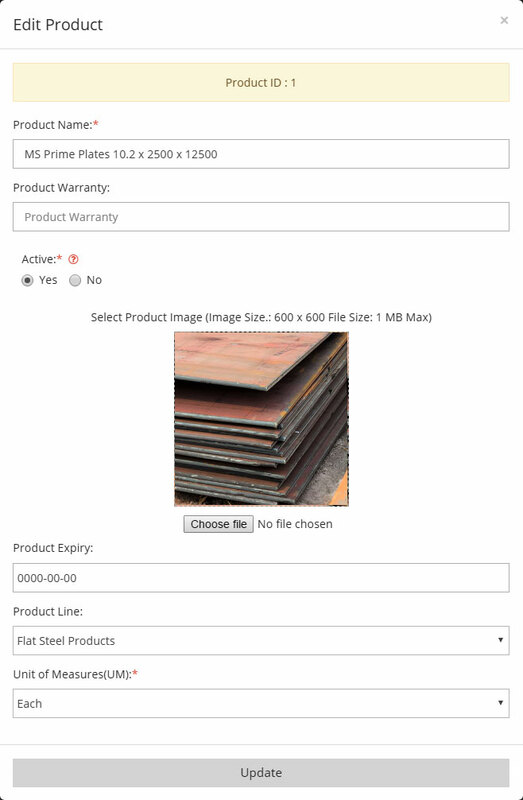 Image : Product Image associated with this product record. Product Name : Name of the product. Stock : Status column will display YES if this product was marked as Stock product in Create Product screen. If it was marked as non stock product the No will display here. Warranty : If you have entered any warranty detail while creating product record, that information will appear here. Expiry Date : This column will display product expiry date which was updated in product record. Please identify the product with above details and then click on Edit button to update. Once you click on this icon “Edit Product” window will appear. Please make required changes and the click on Update. Apart from product name, all other fields are editable. If you want to delete any product, please mark that product as Inactive.